If you still don't have a sauna at home, you're greatly missing out. You see, a sauna offers a lot of health benefits. From getting rid of body toxins, soothing sore muscles, reducing stress, and losing weight, a sauna can help restore your well-being and improve your health. However, there’s just one caveat. Finding the best 1 person sauna is a bit tricky since there are a lot of saunas available today. 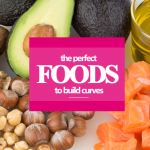 To make sure you end up with the right one, we present to you our top choices. 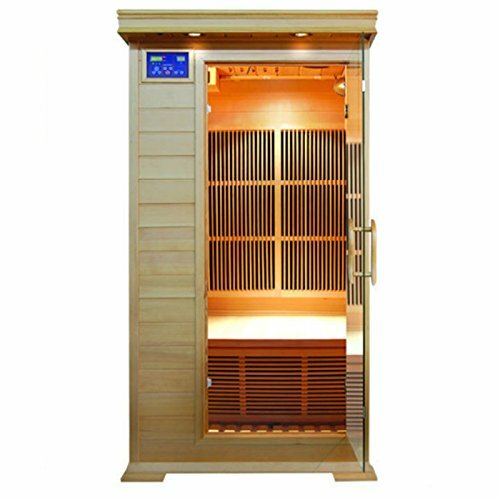 JNH Lifestyles Joyous 1 Person Far Infrared Sauna has 6 carbon fiber far infrared heaters to ensure the best performance. Made with a double layer Canadian hemlock, it has excellent heat insulation so you can get the most out of the experience. The sauna features a digital control which you can use to adjust the temperature and duration of your session. There's a built-in aux control so you can listen to your favorite music as you're relaxing. And you won't have to open the door just to see what's going on inside or outside. The sauna has a special safety glass that can withstand high temperatures. Dynamic Saunas Barcelona 1-2 Person Far Infrared Sauna features chromotherapy. It has different light colors that adjust to your body's vibrations and frequencies to help you achieve harmony. In addition to that, its carbon heating panels are also able to penetrate your skin 40% more than ceramic heaters to make sure you get all the benefits you're after. The sauna has a thick interior and exterior. Made using Canadian hemlock wood, it won't easily break, split or crack. With a double paneled construction, it's also quicker and more efficient in heating up. Assembly shouldn't take you a long time. With minimal skills, you can get the sauna up and running in less than an hour. JNH Lifestyles ENSI Collection 1 Person Infrared Sauna has absolutely no EMF heater and that means increased safety for you. Made with Canadian hemlock and solid timber that are FSC certified, it's constructed without any additional chemicals. 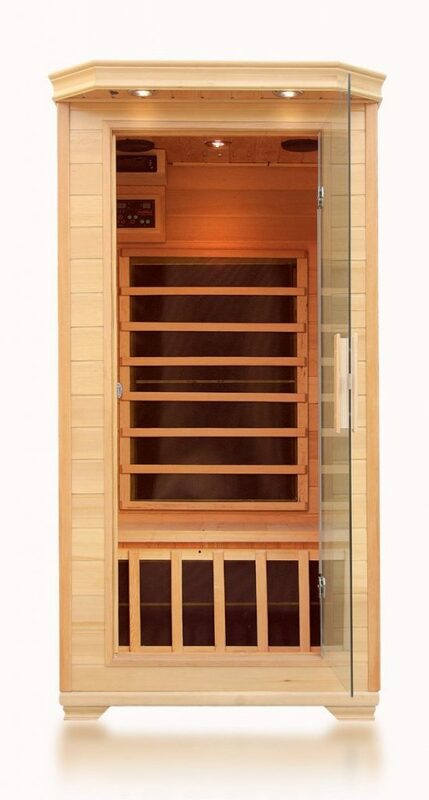 The sauna is designed with a LED digital control panel and built-in 3.5mm aux control. It also comes with 2 premium speakers so you can really enjoy your music inside. And if you don't like listening to music, you have the option to spend time reading during your sauna session. The cabin has long lasting LED lighting for that. 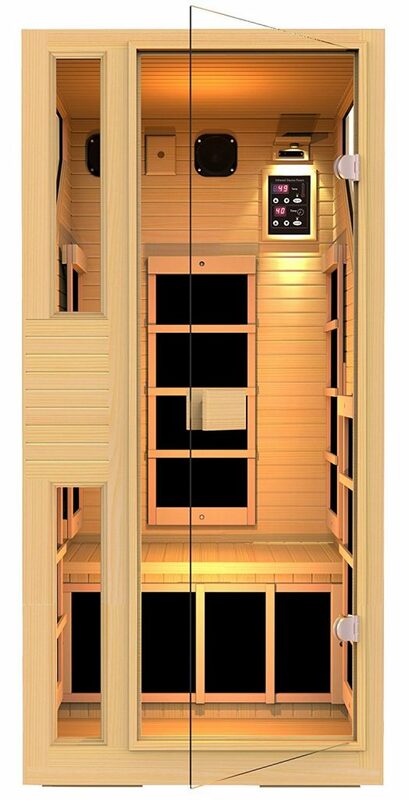 SunRay Barrett 1-2 Person Infrared Sauna is the best fir sauna for those looking for a spacious sauna cabin. It's big enough to fit two people without making them feel too confined inside. 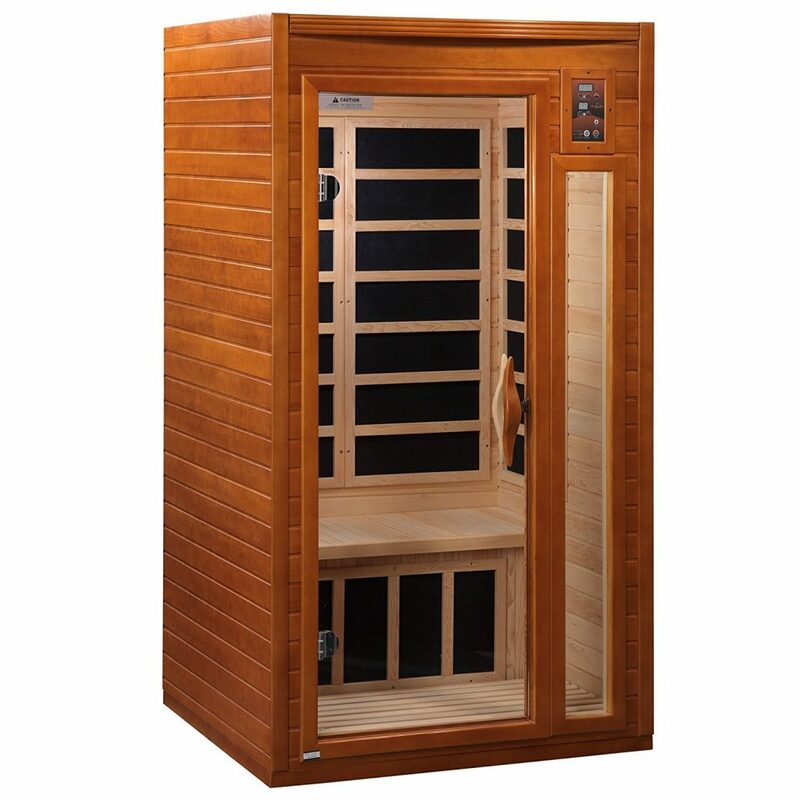 Unlike the other saunas on this list, this one only has 5 carbon-nano infrared heaters. Despite that, it doesn't fall short when it comes to performance. In fact, it can disperse even heat without EMF. The sauna has a great appeal with its smooth construction. Made with hemlock wood, it doesn't release any unpleasant aroma during sauna sessions. When it comes to features, Empava 1-2 Person Far Infrared Sauna is something you shouldn't miss. Apart from its 6 carbon fiber heating panels, it also has an electronic oxygen ionizer, a stereo system, built-in speaker and adjustable roof vents. It has a scratch-resistant and tempered glass door too. The sauna is easy to assemble but you might need to ask for help since it's a bit heavy. Other than that, you won't have any issues with this top rated infrared sauna. 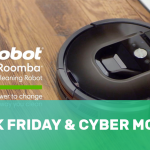 You can set it up anywhere at home. 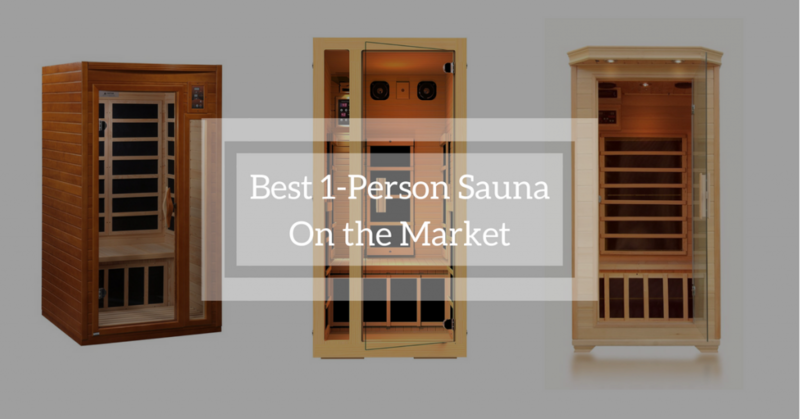 Choosing the best 1 person infrared sauna should be easy. After all, you only have to consider your needs and wants. Now, if you are still feeling overwhelmed with the tons of choices available, here are the factors you can consider in your search. Even if you'll just be the only one inside your sauna cabin, you need to have enough space for comfort. There should be enough room for you to move your legs and stretch your arms. Pick a sauna with durable materials like cedar and hemlock. These two types of wood are more resistant to breaking and splitting even when exposed to high temperatures. If you are environmentally conscious, go with materials that are responsibly sourced. Most models are designed with built-in timers as well as temperature controls. Some units have spiced up their design by incorporating built-in speakers, LED lights, and air ionizer. In choosing which features to go for, always consider what you need to make your sauna session a lot more relaxing and comfortable. The more features a sauna has, the more expensive it will be. Having a sauna at home spells convenience and relaxation. 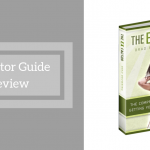 However, before you can actually experience those, you have to make sure you buy the right one for your needs first. 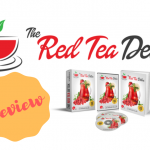 So, what is the best infrared sauna to buy? For us, we picked JNH Lifestyles Joyous 1 Person Far Infrared Sauna as the best 1 person sauna after thoughtful consideration. With its infrared heaters, digital control, and double layered construction, you'll surely be able to relax in the comfort of your home. It’s also durable so it will surely last you a long time.